Bem-vindo to the Brazilian branch of ´Speaking my language´! The expression progresso (Engl. progress) doesn´t appear in vain on the Brazilian flag. Progress has especially come to be realised through the enormous economic development undergone by Brazil during the last decade of our century. Even in education, the continuity established within education policy since the presidency of Luiz Inázio Lula da Silva, has led to important progress and allows wider access to education for the Brazilian people. Both the economic progress and the progress of society itself, make it possible for young professional researchers from abroad to contribute their skills and fields of research to this promising development and to gain valuable experience during a stay in Brazil. 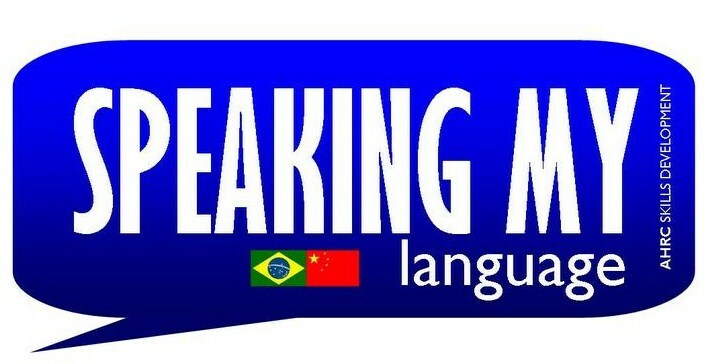 `Speaking my language´ provides opportunities for doctoral students, combining language skills, cultural competency and the possibility to study or visit Brazil for up to a month. Don´t worry – as a participant in the Brazilian part of ´Speaking my language´ you aren´t supposed to spend your whole time studying in the library! ´Speaking my language´ does not only concentrate on the improvement of your career options by language acquisition. A major aim of the project is further to develop your cultural competency. With its cultural diversity and different aspects of national identities, Brazilian culture represents a fertile ground. During the programme, you will be able to experience first hand different parts of Brazilian culture, from its history, its food, its music and society. Being one of the biggest countries in South America, Brazil is a rich cultural environment. `Speaking my language´ gives an insight into this diversity and at the same time leaves you to decide which part of Brazilian culture you wish to explore more and in which ways you would like to broaden your cultural competency skills. Whatever you choose, one thing is clear: Brazilian culture includes far more colours than only those of Samba and football, as described by Gilberto Gil, one of the most popular musicians of Brazil and former Brazilian minister of culture, in the famous song Aquarela do Brasil. São Paulo and Rio de Janeiro are the two largest cities of Brazil. They are both well-known all over the world. The first one for its hugeness in being a real metropolis with major cultural, economic and political influence. The second one for its beaches, carnival celebrations and Samba, but also for its favelas as a melting pot of crime, poverty and social inequality. Non ducor, duco. – I´m not led, I lead. This Latin motto of São Paulo becomes alive in regard to the city´s position in Brazil and the globalised world. São Paulo is not only the largest city of Brazil and the capital of the state São Paulo. It is also the largest city in the southern hemisphere and Americas as well as the seventh largest city of the world by population. These are facts you will certainly note to be true when visiting this metropolis as architectural hugeness and economic superlatives being present all over the city. Due to São Paulo´s significant international financial and commercial influence it can be considered as the Global City par excellence. Being not only the home of the São Paulo Stock Exchange and the second largest stock exchange in the world, the Cereal Market Stock exchanges, the cityscape of São Paulo is peppered with the tallest buildings in Brazil, including the North Tower of the United Nations Centre Enterprise. Therefore, it is not suprising a fact that innumerable helicopter flights taking businessmen from one building to the other are an inherent part of the paulistanos everyday life. A Cidade Maravilhosa. The Marvellous City. What else is left to say about Rio de Janeiro? About a city which only by hearing its name, already makes you think of magnficent beaches, breathtaking natural settings and Samba rhythms, even when you have never been there before. Apart from these major images connected to the city of the cariocas, Rio has been the former capital of Brazil and is now the second largest city of the country. With its high number of universities and institutes, Rio is in addition Brazil´s second largest centre of research and development and plays a main role within the national scientific production. In 2016, Rio de Janeiro will also become known for actually being the first South American city hosting the Summer Olympics. Not later than the film City of God it is known that Rio is not only home of the Sugarloaf mountain and the Copacabana. A part of Rio are also its favelas, a world having procured rather sad reputation throughdrug gangs, brutal murder and grinding poverty. However, the favelas belong to Rio as the Sugarloaf and the statue of Christ the Redeemer does and today, they are a secure place for tourists to go. During a guided tour it is possible to explore this fascinating-scary part of the city, whose marvelousness wouldn´t be completed by only focussing on the sparkling beaches of Ipanema. Brazilian culture has been shaped not only by the Portuguese, who first settled the country, but also by Brazil’s native Indians, the considerable African population, and other settlers from Europe, the Middle East and Asia. The varied heritages have been woven together so intricately, and transformed so radically by the shared climate, geography and history, that something entirely new has emerged. Despite this diverse ethnical and cultural nature, there are some aspects of Brazilian culture that form the centrepieces within this cultural variety. This quote by the famous Brazilian football player Ronaldo points it up quiet clearly, what football means to Brazilians: football in Brazil is a national obsession. It is recognised as being a form of art in itself and not only as an aggressive competition in which only winning counts. Brazilian football players, e.g. the legendary Pélé, have become famous for bringing football to new heights of skill through developing an unrivaled repertoire of kicks, dribbles and swerves. It is probably mainly this special Brazilian way of relating to football that led to the fact of the Brazilian football team having won the FIFA World Cup tournament for five times (1958, 1962, 1970, 1994, 2002) and being the only team to succeed in qualifying for every World Cup competition ever held. Orginally being a dish of the African slaves, feijoada has become the national dish of Brazil. The traditional Brazilian feijoada is a stew of black beans, various pieces of pork, smoked sausage, pepperoni, onions, garlic and black pepper, boiled for 1 to 2 hours. It is usually served with white rice and a nice, chilled beer or a caipirinha. Cachaça Cachaça is Brazilian´s most popular liquor, distilled from sugar cane. By far the most common way is to combine it with sugar, lime and ice to make the national drink of Brazil – the now world famous caipirinha. There are three different kinds of cachaça: Industrial Cachaça (usually the least expensive type), Alembique Cachaça (produced by smaller farms in Brazil) and the Aged Cachaça (aged in different wooden barrels). Café Since the period of slavery, a whole culture, better known as ´the fever of coffee´, was created around Brazilian coffee. Due to it´s fertile soil, Brazil became the world leader in the production of green coffee, which also had an important influence on the country´s general economy. Served with a brigadeiro, a very sweet Brazilian chocolate candy, a Brazilian café definitely makes you taste the ´fever´ of this national drink. Daniela Wellnitz is a doctoral candidate undertaking a joint PhD with the University of Glasgow and the University of Mainz. Her first language is German, but she is also fluent in English and Italian. As a visiting researcher in the southern Brazilian state Rio Grande do Sul, she lived with a Brazilian family and made her own special experience of Brazilian culture, language and lifestyle, which you can read about on this website. Feel free to tell us about your personal Brazilian experience or let us know what it is that makes Brazil for you a fascinating place to go!